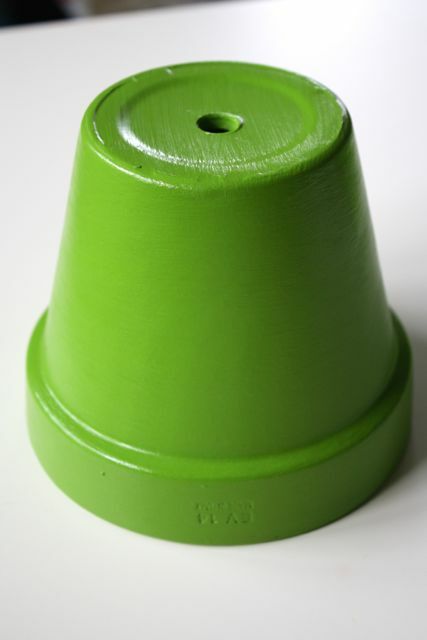 Materials: Terra Cotta Flower Pot, Glass Bowl or Beta Fish Bowl, E-6000 Glue, DecoArt America Acrylic Paint in Spring Green, and DuraClear varnish. 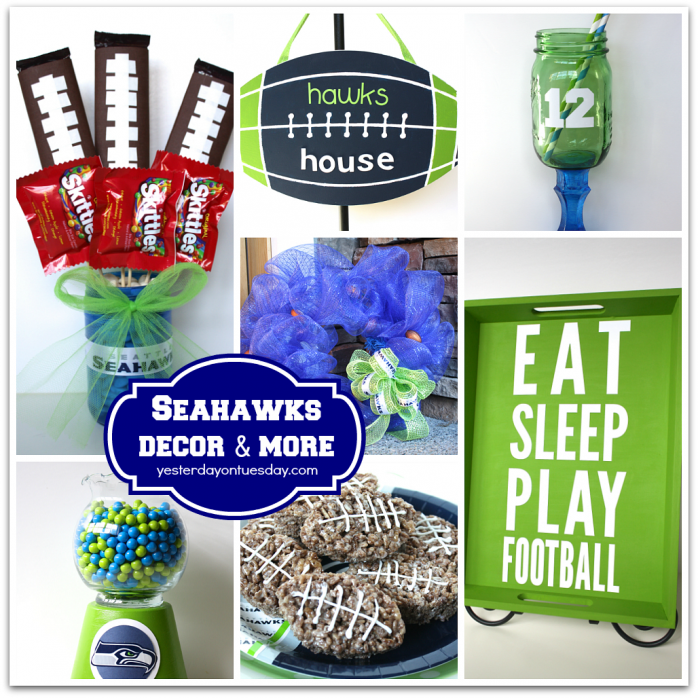 Embellish with Seahawks-themed Duck Tape and ribbon. 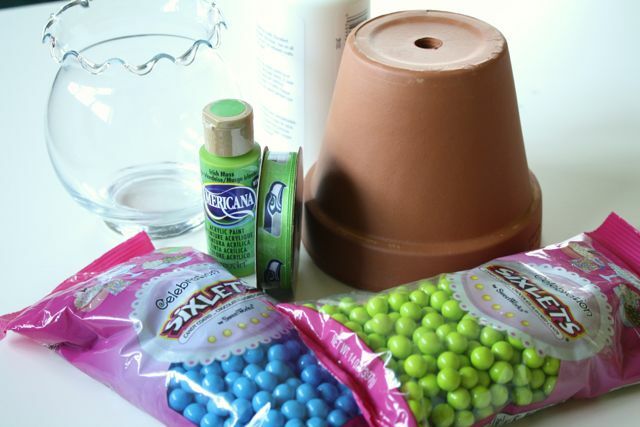 You’ll also need paintbrushes and Glue Dots or hot glue. Blue and green Sixlet candy. All materials available at Ben Franklin Crafts and Frames in Redmond. 1. 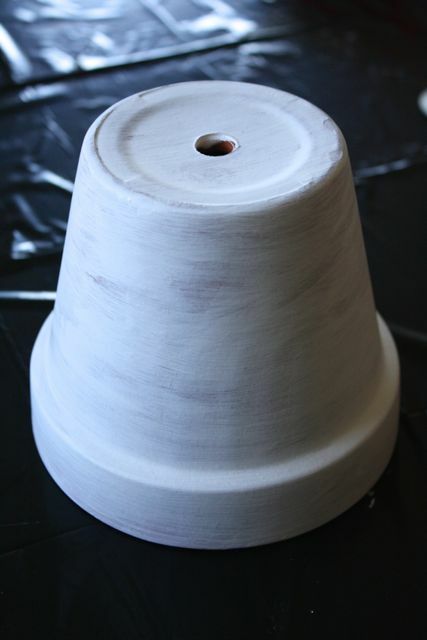 Paint flower pot white. 2. 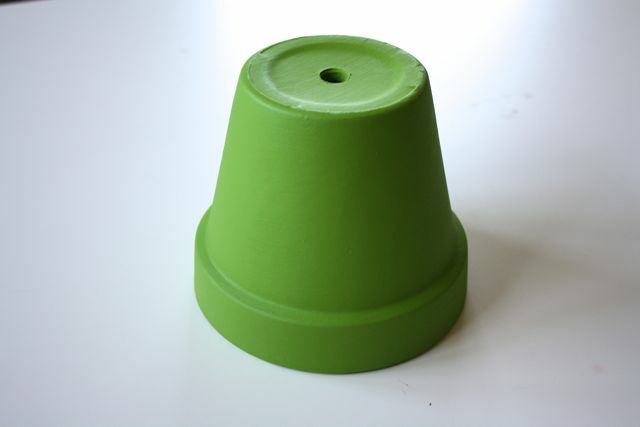 Then paint it green (will take three coats of paint). 3. Paint on a layer of DuraClear Varnish and let dry. 4. 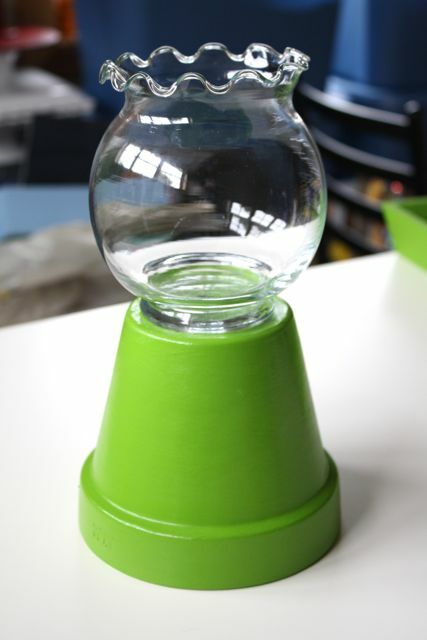 Use E-6000 glue to glue glass bowl or beta fish bowl to upside down flower pot. Let it set overnight. 5. Embellish with Seahawks Duck Tape and/or ribbon. 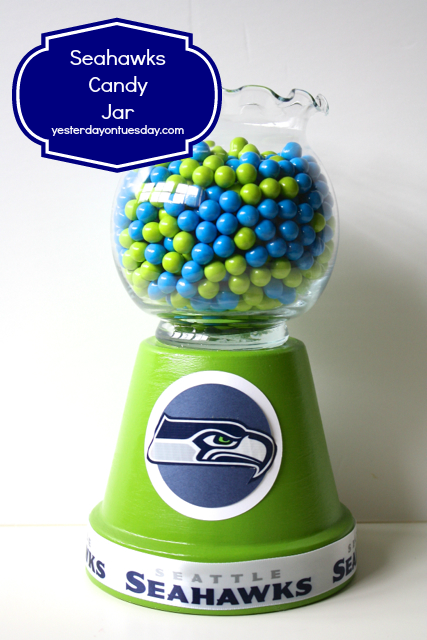 If you like FOOTBALL themed projects, check out this post featuring Seahawks Decor and More. Sharing at Uncommon Designs, Craft-o-Maniac, I Should Be Mopping the Floor, A Bowl Full of Lemons, Kathe with an E, The Girl Creative, Domestically Speaking, Live Laugh Rowe, Thirty Handmade Days, Carolyn’s Homework, Tatertots and Jello, Shaken Together Life, Flamingo Toes, Food Folks and Fun, Little Miss Celebration and The Cards We Drew. How easy and simple yet super cute!! The only thing I would have to change is the colors….having Seahawks stuff when you live in Texans territory is dangerous :) Texans are serious about their football…lol!!! Love it!! Thanks Crystal… you are the sweetest. I hope you are your family are having a great fall! This is truly adorable. I admit I’m a Packers fan.. but I still love this so much!! Pinning! What an easy and awesome fan craft, Malia! Go Hawks! Thank you Sarah! Did you watch the game today…aaack! I like how you were able to add the logo, and the ribbon is really cool. Thanks Amy and I love yours… cool idea having a lid! Have a great week. Oh I loooooove this!!! Great job on it! Love this! We are Panthers season ticket holders…but I know my husband would really appreciate something like this for his game day parties!